Free Alignment comes with the purchase of 4 new OEM tires + there’s a price match guarantee! Welcome to INFINITI of South Mississippi with our oil change special! 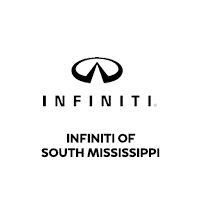 Valid only at INFINITI of South Mississippi. Pus tax and hazardous waste fees. Up to 5 quarts of oil included, vehicles over 5 quarts will receive $20 discount from the normal price. Synthetic oil extra. Please present coupon at time of write-up. Not valid with any other offers or special. Not retroactive. See dealer for details. INFINITI models only. Expires 04/30/2019.